I went to the food court at the mall the other day. Pretty sure I was found guilty. It’s weird because at the food court, you can eat an entire meal before you even find a table. Those people feed it to you one toothpick at a time. Three thousand deep-fried sample calories later, you still have to order dinner. “Order in the food court”—it’s probably some sort of mall law. I tried to object once but then I overruled myself. Last time, just before the guilt of overeating was about to kick in, I was polishing off the last curly fry (the curly fries I SO should’ve said no to), and I think I might’ve heard my left ventricle squeaking closed. I wonder if the toothpick people could eventually be charged with ventricular manslaughter. On the spiritual side, our non-physical heart does better when we say no to guilt. Sin is a killer and we need to always confess and get rid of it quickly. But we need to be just as quick to get rid of any residual guilt. When we dredge up old sin that’s already been forgiven, we clog up our hearts in an entirely different way. Unwarranted guilt hinders our walk with the Lord. Our enemy doesn’t want us operating in the powerful place of forgiveness. He doesn’t want us to experience a sweet, unhindered connection with the Father. If he can obstruct that connection by convincing us that our sin is unforgivable, he can choke out our fruitfulness. We’ll end up so distracted by guilt that we can’t clearly focus on the purposes He’s called us to. Sometimes we try to get rid of the guilt ourselves. People who attempt to take care of their own guilt feelings usually realize the futility of it at some point. They end up trying to numb it with some sort of chemical or another item from a long list of destructive habits. Or some try to cover over the guilt by doing enough good deeds. Less destructive, sure, but still ineffective and completely frustrating. There’s one way to get rid of every kind of guilt. Jesus. He took it for us on the cross. The sinful deed you find yourself continually dredging up? Jesus died for it. Is there a sin that haunts you, one that hangs onto your psyche like grease on fries? Do you ever find yourself thinking that yours is the one sin that God couldn’t possibly forgive? Let me encourage you to recognize that the sacrifice of Christ was enough. At any point you can’t fathom a grace that will cover your sin, overrule yourself, because you’re not understanding His grace as it really is. It’s bigger than we can ever sin. I love it that Jesus never dispenses His grace by the toothpick. He gives it in heaping helpings. He doesn’t give it out according to our success. He doesn’t take it back when we mess up. He gives that grace, desiring to be close to us. Hebrews 10:22 says, “Let us come near to God with a sincere heart and a sure faith, because we have been made free from a guilty conscience” (NCV). Freedom from a guilty conscience—that’s the way to live. And that’s the truth. And nothing but the truth. About the author: Rhonda Rhea is a TV personality for Christian Television Network and a humor columnist for great magazines such as HomeLife, Leading Hearts, The Pathway and many more. 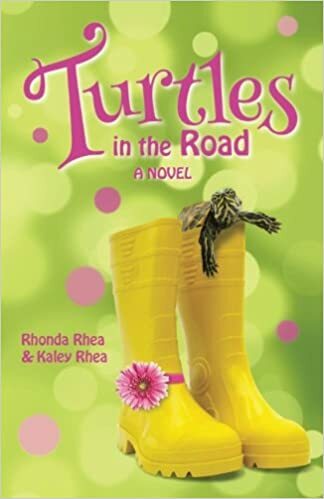 She is the author of 12 books, including Fix-Her-Upper, co-authored with Beth Duewel, and a hilarious novel, Turtles in the Road, co-authored with her daughter, Kaley Rhea. Rhonda and Kaley are also excited to be teaming up with Bridges TV host, Monica Schmelter, for a new book and TV series titled, Messy to Meaningful—Lessons from the Junk Drawer. Rhonda enjoys speaking at conferences and events from coast to coast and serves as a consultant for Bold Vision Books. She lives near St. Louis with her pastor/hubs and has five grown, mostly-coffee-drinking children. You can read more from Rhonda on her website or Facebook page. Join the conversation: What makes you feel guilty?